Her favorite console is the Nintendo 64. Seven months ago, Alexandria Ocasio-Cortez became the youngest U.S. congresswoman to be elected after defeating Joe Crowley. Now, she’s calling into Twitch streams to talk politics and her love of Nintendo. Yesterday, Ocasio-Cortez joined Harry “Hbomberguy” Brewis’ charity livestream through a voice call. Hbomberguy was livestreaming Donkey Kong 64 to raise money for Mermaids, an organization based in the U.K. that supports gender-diverse and transgender children. The popular YouTuber started the charity stream after Graham Linehan, an Irish comedian, began to speak out against transgender issues. Folks, In the same way that you don’t tell anorexic kids they need liposuction, you don’t tell vulnerable kids with feelings of dysphoria that they need surgery and drugs. You certainly don’t tell them fairy stories about being “born in the wrong body”. The issue arose when the U.K. National Lottery began donating funds to Mermaids. In response, Linehan started his own campaign to block funding for the charity from the National Lottery. To rebuke Linehan’s actions, Hbomberguy took to Twitch. After streaming for over 40 hours, Hbomberguy has raised close to $350,000 for Mermaids. Ocasio-Cortez discovered Hbomberguy’s stream after responding to Aaron Sorkin’s criticism of the Democrats. The American screenwriter denounced Democrats for focusing on the issue of transgender bathrooms. Ocasio-Cortez tweeted her stance on the topic and ultimately retweeted Mermaids post about Hbomberguy’s livestream and directed her followers to watch the stream to support the queer community. A simple retweet wasn’t enough, though, as Ocasio-Cortez went on to call into the stream and join Hbomberguy live. 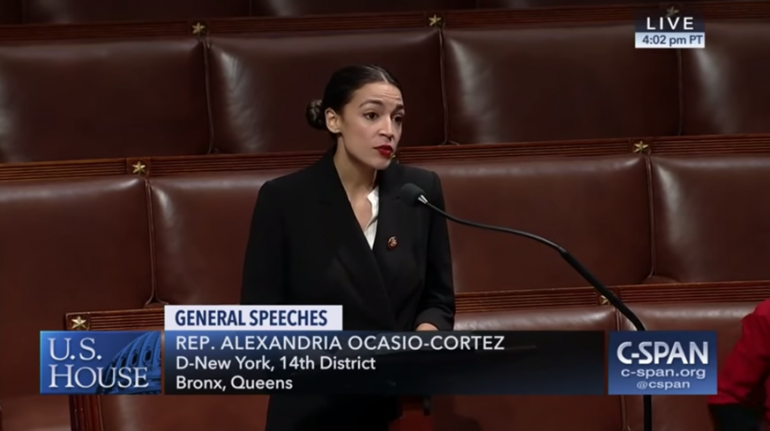 Once on the stream, Ocasio-Cortez discussed the government shutdown and her love for Nintendo with Hbomberguy. Who would have known a congresswoman would one day end up on Twitch casually chatting about Super Mario 64 and Pokémon Snap?